Authorized Employer contacts without direct access, please submit new hire information using this form or to your account manager directly using a paper new hire form. You can upload paper new hire & direct deposit forms to us via this secure upload page. All submissions will be re-verified with you by your account managers to insure they were approved by an authorized employer contact. 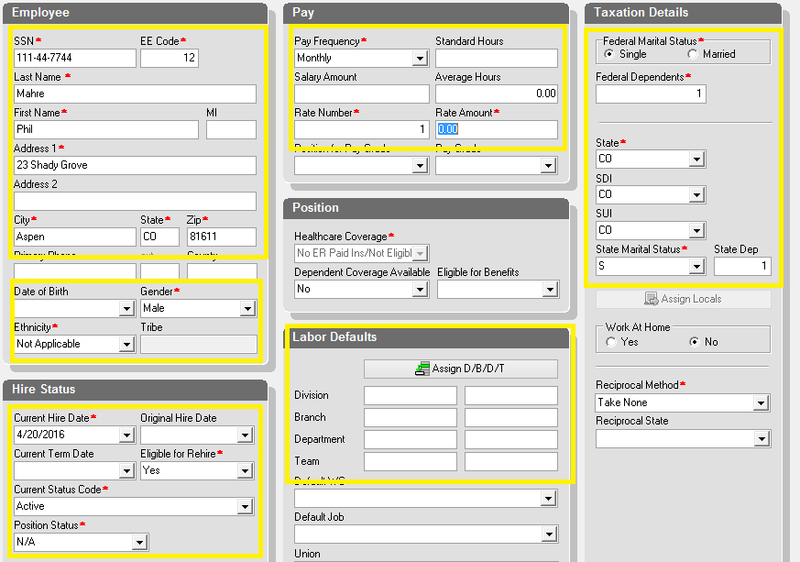 If you track your labor costs by a department/cost center, you will need to pull in the employee's "home dept" or "home cost center" using the Assign a D/B/D/T button. 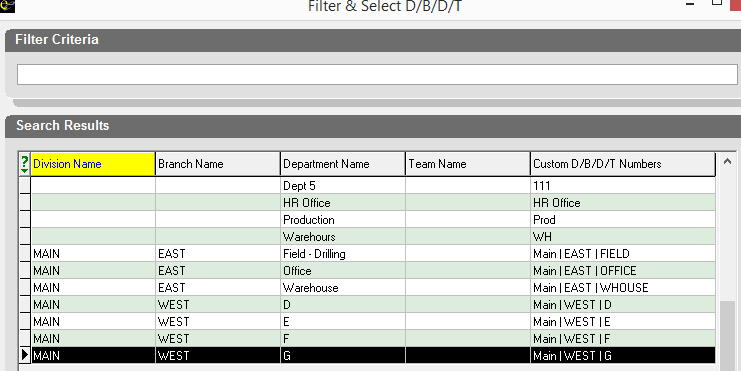 Keep in mind; each cost center you add will impact the GL Report used to sync to your accounting system post payroll and thus we will need to follow up to map the new cost center to the appropriate account name/code from your accounting software. 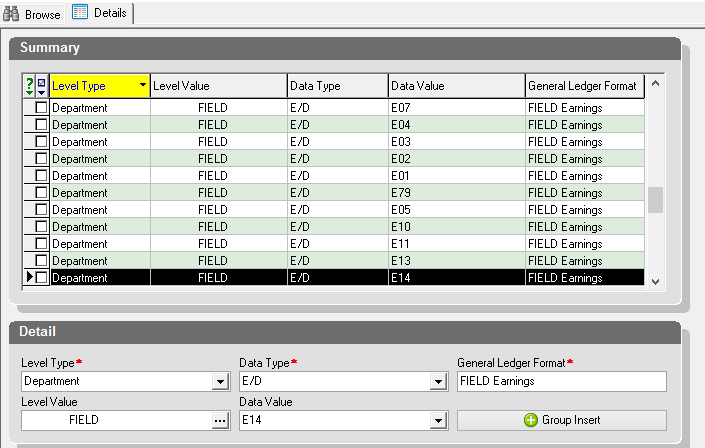 GL Mapping is maintained in Company >> General >> General Ledger.